In 2013, River Relief volunteers got a lot done. 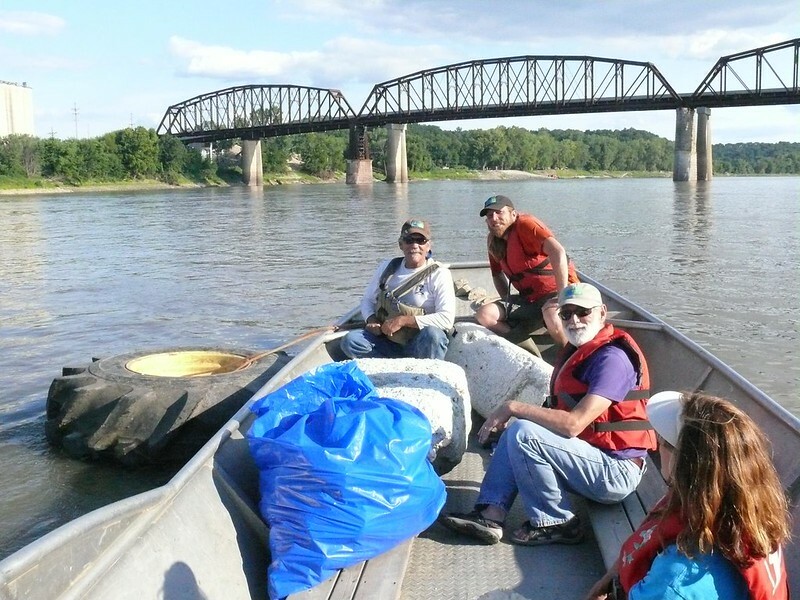 1,637 Volunteers helped remove 38 Tons of Trash from 89 miles of river! We enjoyed a relatively calm & low water year on the Missouri River... lots of slow water, with sand bars and wing dikes re-emerging from the muddy depths. The year was unseasonably cool & wet, but in early June of course, river levels from Glasgow to St. Charles were the 10th highest on record all of a sudden. The river rose fast and furious; we hadn't seen water that high since 1995, or trees that huge just cruising down the swirling Big Muddy. Luckily, we only had to post-pone one clean-up, and were able to help out around our home-port, Cooper's Landing. 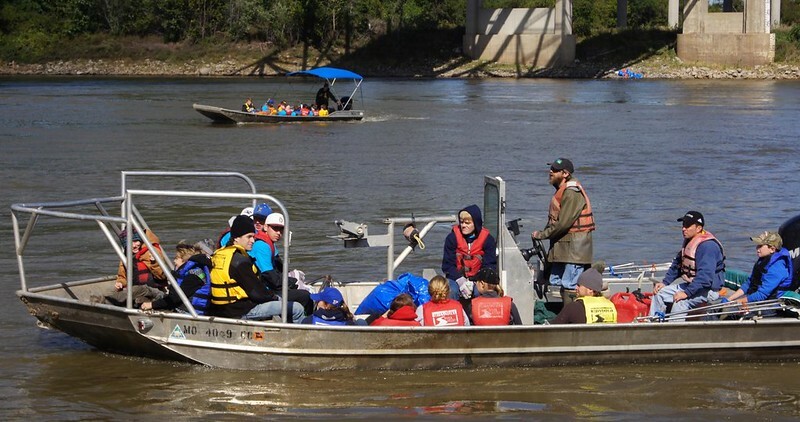 When the waters receded, volunteers were shuttled by boat to begin the mucky clean-up process of scooping, washing and sanitizing all of the mud out of the buildings. Then we carried on, finishing one of our busiest & smoothest years yet! There's a long list of sponsors and partners - they provide the cash and services it takes to mobilize this clean-up effort. From fuel to t-shirts, to reusable water bottles and dumpsters. It's a community effort. A HUGE thanks to Bass Pro Shops for coming through with a brand new 115 -hp Mercury motor for one of our downed plate boats this year too. It's help like this that really enables us to keep turning the props on this clean-up machine. 2013 was Missouri River Relief's 13th year, and it was a great success thanks to you! See you on the river in 2014!